Can the software be updated, so that the Event Response System's window is scalable? I've found that when using some of the options, the window gets too large and doesn't scale to fit within the screen. 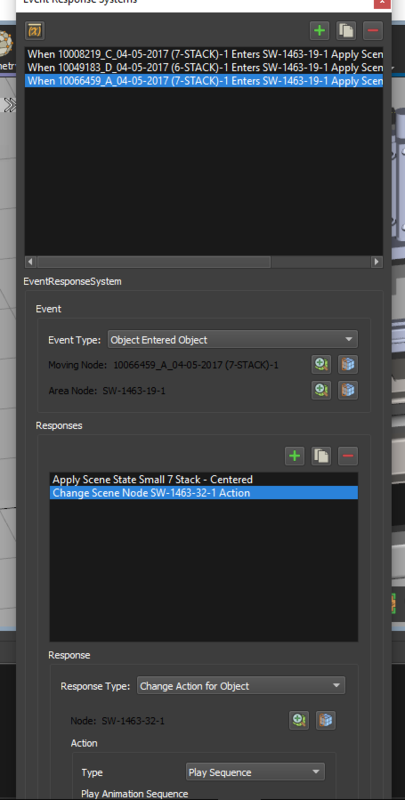 Attached is a screenshot showing that I am unable to access the bottom Animation Sequence selection box, as the windows stretches from top to bottom and is not scalable. What window resolution are you using? SimLab wrote: What window resolution are you using? That was on a 1600X900 monitor. On a 1920X1080 monitor, I have no problems.